We’re all familiar with the old adage, ‘seconds turn into minutes and minutes turn into hours.’ So no matter if you’ve been using SketchUp for years or are a newcomer, we’ve compiled five of our favourite tips that will get you designing smarter – and faster. Yep, we’re going with the most obvious one first. 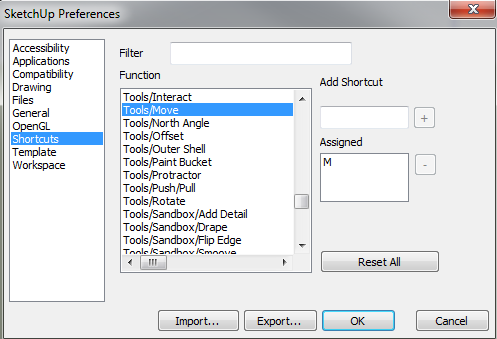 SketchUp comes with a predefined set of shortcuts, but you can customise these to best suit you. Using shortcuts will help you work faster, make your user interface cleaner, and allow for more screen space for you to model. When shortcuts are used efficiently, they’ll enable you to skip menus and toolbars and boost productivity. Some SketchUp users tell us they barely even use the standard menu for their work and keeping only those related to plug-ins that can’t be conveniently switched to a shortcut. Need more information on customizing the keyboard? Have a look here. Actually, maybe they’re better than your friends. Unless your friends happen to be multi-directional and infinitely flexible, too. They really are an amazing tool for speeding up your workflow unless you have super-human abilities to mentally visualize the model you’re working one (if you do, tell us how!). Add parallel guidelines and check distances using the Tape Measure tool. Check angles and set slopes using the Protractor tool. Added bonus: Too many guidelines? Just clear ’em all out with one shortcut and start all over again. Remembering ‘group first, layer later’ is an excellent rule of thumb when using SketchUp. By grouping first you can separate your geometry while also ensuring that the base geometry of the grouped object stays on Layer0. Having two levels of information separation allows it to be enhanced by using the scene system for more than just saving viewpoints. Success in using SketchUp’s photo matching relies on two things. First, you must ensure you’re using unedited original photography. Second, you need to ensure your model matches the scale of the subjects in the photo. A further tip is to get the camera’s focal length to match to the photo you’ve selected. To do this, place your yellow origin mark at the spot on the photo where you will place your model. From there, align the green and red axes to the features of the subjects in the photo to ensure everything is following the same direction. 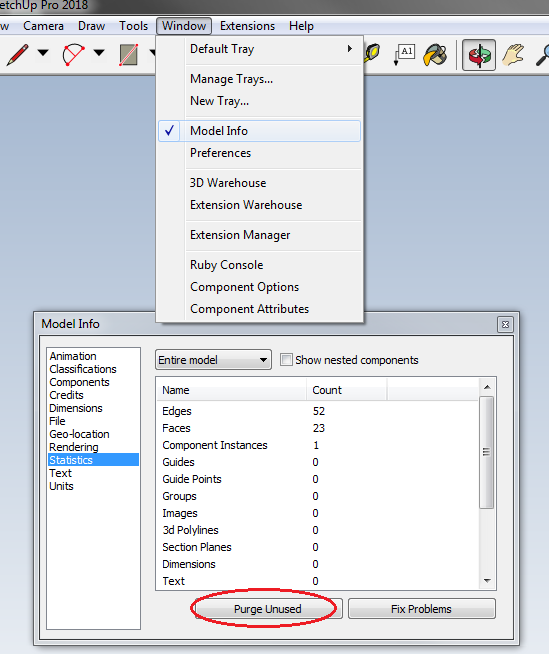 Because SketchUp models save all the information inside the file, you’ll need to keep this in mind – the information stays inside even if you delete it from the workspace. This can clearly slow down your file performance. Therefore, a good tip is to do some regular housekeeping in order to keep your workflow speedy and snappy. To clean the excess element, go to ‘Purge Unused’ command in the components, material and layers. So there we have it. Five of our favourite tips for speeding up your SketchUp workflow. Let us know in the comments if you have a great tip to share! ← Enscape 2.2 now available for SketchUp!